Home > Firefly Studios Ltd.
Found 4 file extension associations related to Stronghold and 3 file formats developed specifically for use with Stronghold. 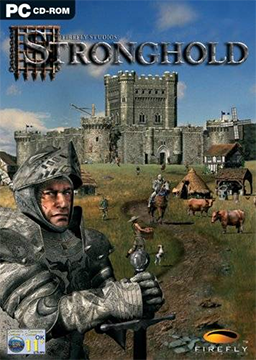 Stronghold is a combination of a building simulation and a real-time strategy game. The player can build and conquer castles, populate lands with his peasants and defend his estate from invaders. The game takes place in Medieval Britain around the time of 1066. In Stronghold, the player takes the role of a lord in a kingdom. The goal is to create a stable economy and a strong military to defend against invaders, destroy enemy castles and accomplish the mission objectives. If you need more information please contact the developers of Stronghold (Firefly Studios Ltd.), or check out their product website.